We are always up for a pretty new pair of Uggs, especially when they come in unique designs that set them apart from others in our collection. The Shop With Us team has not only spotted another must-have Ugg boot, but we’ve also found it available at an amazing up to 50% off sale price. Ready to slay boot season with Us in style? The Ugg Elora boot has a trendy ankle-length design with a smooth leather upper portion and a round toe. An asymmetrical ankle split shaft gives the shoe an extra trendy touch with the front portion rising a bit higher than the back. 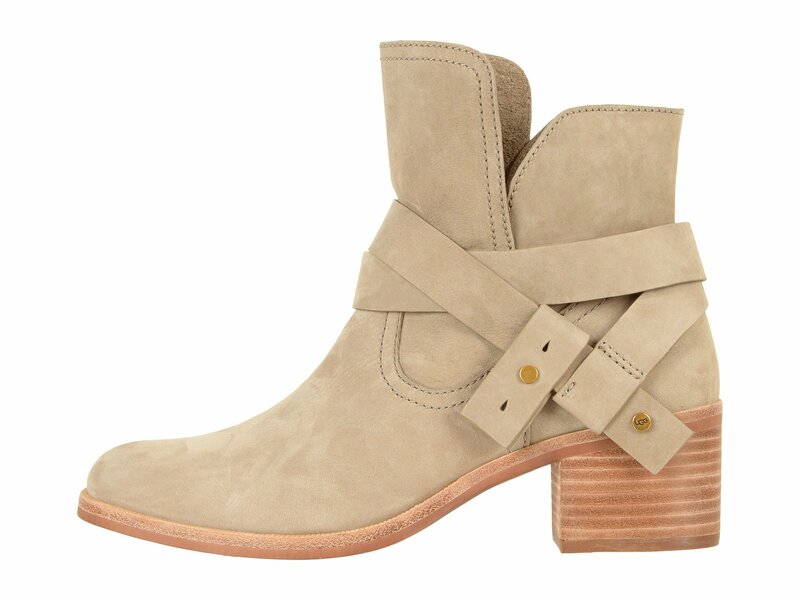 Its low leather stacked block heel allows Us to strut with a little extra lift. See it: Get the Ugg Elora Boot in the Sahara shade (marked down 50% off its original $175 price, now $88) while it’s on sale and all sizes are in stock. 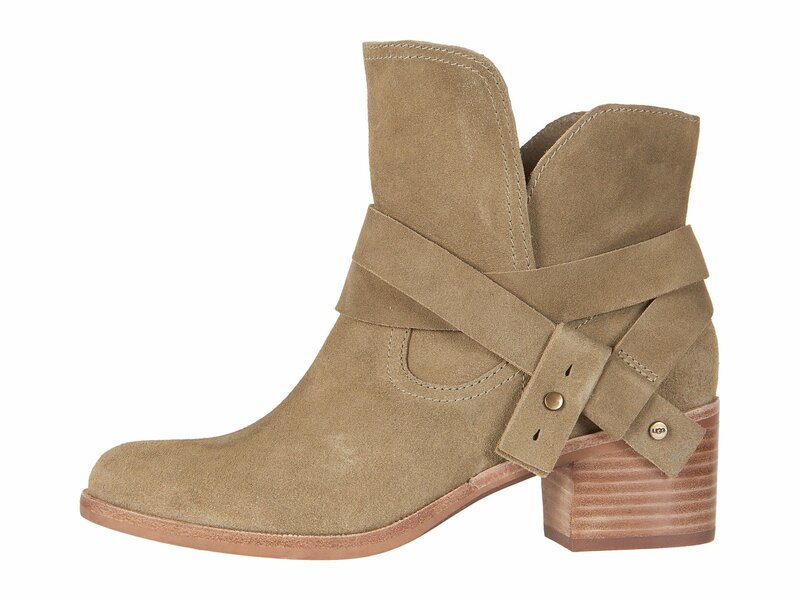 The boot has stylish buckles wrapped around its ankle, yet it maintains an easy pull-on style. Even better, the leather-lined footbed features special cushioning meant to provide maximum shock absorption for a comfortable all day wear experience. We love that the Elora style comes in neutral colors that can be easily mixed and matched with the rest of our wardrobe. See it: Get the Ugg Elora Boot in Antilope (marked down 50% off the original $175, now $88) while it’s on sale and all sizes are in stock. We’ll be wearing the Elora boots with our jeans and sweaters, but they will also pair well with casual long sleeve dresses. Shoppers who purchased these boots seem most impressed by how comfortable they are for walking. Lots of reviewers shared that they wore them with leggings or jeans. Although Zappos notes that the boots run “true to size,” a few reviewers shared that they felt the shoes run a bit small and had to exchange them for a half or whole size up. Eye the size guide carefully to grab the best fit. See it: Get the Ugg Elora Boot in the Sahara shade (marked down 50% off its original $175 price, now $88) while all sizes are in stock. Also available up to 50% off in three additional darker colors starting at $100.